Enjoy the ride while catching a wave on a stand-up paddle board (SUP)! For a totally unique perspective of the Outer Banks, try standing on top of the water. With a stand up paddle board (SUP) you can paddle the sound or ocean waters, just to enjoy the sights or to actually get somewhere like an offshore sand island or a restaurant for lunch. For most people the learning curve for learning to SUP is quick and easy and you’ll be up on your knees or feet paddling the waters in no time. Experienced watersports enthusiasts can surf the ocean waves on a stand up paddleboard. 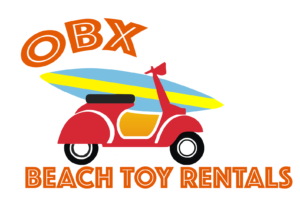 The Nags Head location of OBX Beach Toy Rentals is directly across the street from the Gray Eagle public beach access, making it easy to rent and walk to the ocean with your SUP. We offer 10’4” and 11’4” stand up paddleboards for daily or weekly rental, and delivery is available. A weekly SUP rental is the ultimate way to enjoy your Outer Banks vacation! The SUP is to be returned to the same store you picked them up from. We can not guarantee color availability during reservation. We offer free deliver to South Nags Head, Nags Head, Kill Devil Hills, Kitty Hawk and Pirate’s Cove. Size selection is not required, and if not specified the most appropriate paddle board will be provided. Call our Nags Head store with any questions. 10’4” – will hold up to 195 lbs which makes it perfect for ladies, kids, and men under 195 lbs. 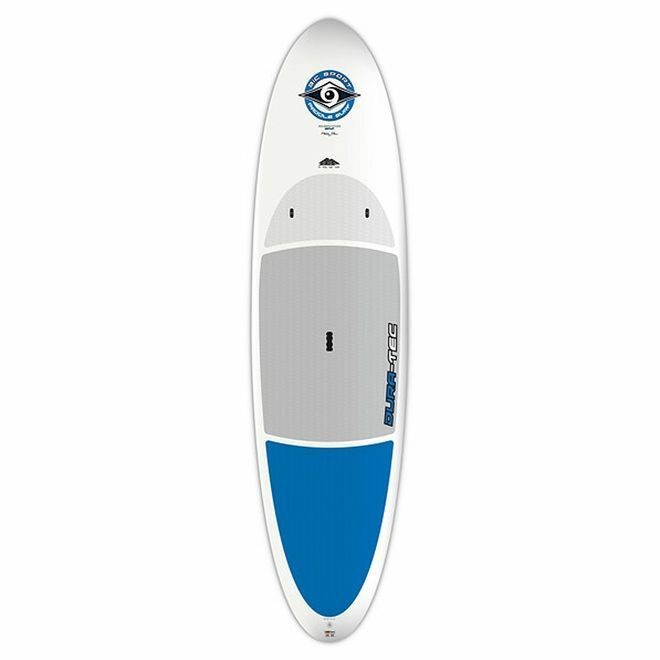 This board handles great on the water, while still offering a stable platform. The 10’4” SUP is fun times and memories waiting to be made. Comes standard with a built-in carry handle and deck grip. 11’4” – makes Stand-Up Paddling easy for beginner to intermediate riders. This family board with sturdiness and ease of use, is suitable for larger paddlers cruising your favorite flatwater spot. Weight Limit 320 lbs. Comes standard with a built-in carry handle and deck grip.